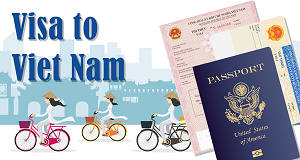 VNA Ha Noi, Aug. 16 -- The US Consul General in Ho Chi Minh City opened the American official consulate at No. 4, Le Duan str., today, Aug. 16. The opening ceremony was attended by US Ambassador to Viet Nam Pete Peterson, and US Assistant Secretary of State Mary Ryan, and US Senator Charles T. Hagel, US Consul General Charles Ray and other foreign Consuls General in Ho Chi Minh City. The US House of Representatives on August 3rd voted 297 to 130 to endorse President Clinton's decision to extend the waiver of Jackson-Vanik amendment for Vietnam. Compared to the 1998 vote (260 to 163) this time there were 37 more congressmen supporting the President. We welcome that outcome which can be viewed as a steppingstone in the path of improved relations between the United States and Vietnam. Meanwhile, it is a necessary step toward the full normalization of trade relations with the signing and the approval of the Bilateral Trade Agreement. The first exchange of views on political and foreign policy between Vietnam's Ministry of Foreign Affairs and the US State Department, was held on July 29 in Hanoi. The Vietnamese delegation was led by Deputy Foreign Minister Nguyen Dinh Bin and the US delegation led by Assistant Secretary of State Stanley Roth. US Ambassador to Vietnam Pete Peterson also joined the exchange. VNA Ha Noi, July 23 -- Deputy Prime Minister Nguyen Tan Dzung expressed satisfaction at the substantial progress in the negotiation process for a bilateral trade agreement between Vietnam and the US while receiving deputy US Trade Representative Richard Fisher in Ha Noi on July 23. 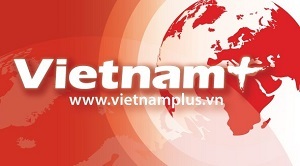 Ha Noi, July 22 (VNA) -- Vietnamese and American business people acknowledged their governments and trade organizations' efforts to improve the business and investment environment at a seminar in Ha Noi today (July 22). Present at the seminar were Hoang Van Dzung, Deputy General Secretary of the Vietnam Chamber of Commerce and Industry (VCCI), US Ambassador to Vietnam Pete Peterson, and business people of the two countries. The participants exchanged information on trade and investment operations over the past time, especially in recent years.